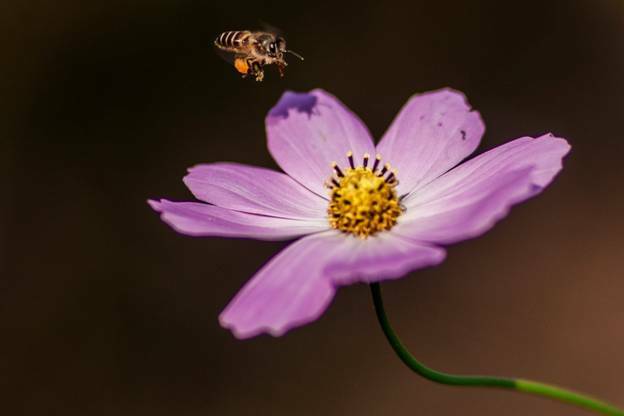 When you hear that honeybee populations are on the decline, you should be concerned.Bees do much more than just sting you when irritated- they also pollinate over 400 different plants around the world, while adding $19billion to the U.S Agricultural economy. In Florida, many people depend on flowering plants for their livelihood and their primary source of food. Simply put, bees play an important role in our daily lives. Honey bees are one of the most effective pollinators in the world. They have tiny hairs all around their bodies that can easily pick up and transport pollen to many other flowers. And because honeybees focus on specific species of plants,they’re more effective at pollination in the long run. There is also an interesting correlation between the composition of honey and pollution levels in any given city. A recent study in Vancouver uncovered that the honey produced by bees within a specific location will contain a proportional amount of lead, zinc, copper, and other chemicals that maybe present in the surrounding atmosphere. Therefore, honeybees can serve as an important warning sign of high pollution levels. Local beekeepers in Florida are on the front line when fighting against dwindling honeybee populations. You can support these efforts by buying local honey products from flea markets or shops. You can also donate essential supplies to beekeepers- such as honey extractors, wax stamps, and glass jars. If you have a garden outside your home, you can also help local bee populations thrive in Florida. Take time to learn which plants the local bees love and plant those species in your garden. Some of the top plants that bees thrive on include sunflowers, lavender, buttercup, asters, and dragon head. Many of these plants are colorful and vibrant, which will also add to the beauty of your garden. Lavender and cat mint are also perfect for the hot Florida weather because they’re resistant to drought. You can help populations thrive by minimizing logging in your area, not using too much mulch in your garden, and protecting areas where you see beehives. Protecting local and national bee populations is a joint effort that everyone should be involved in.